Mold from forming due to the high humidity and moisture levels of the earth. 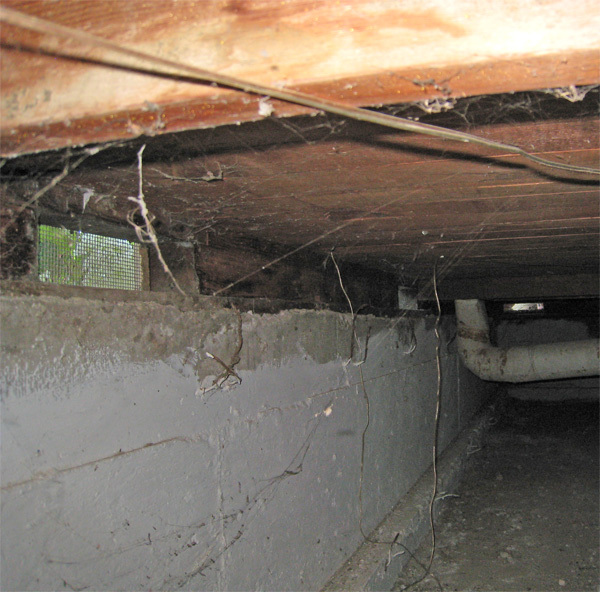 Crawlspaces create a naturally damp environment where mold can grow and thrive. First, we go into your crawl space and level it as much as possible. We will also remove anything that shouldn’t be there, such as mold or rotten wood. Then, we measure the dimensions of the crawl space and cut a high-strength vapor barrier to match the space. This barrier is what protects your home from moisture, mold and radon gas. It is attached to the foundation wall around the perimeter of your crawl space, and all of the seams are closed with a special wide sealant tape. The vapor barrier is also sealed around objects in the basement, such as steel beams or piers. We can also accommodate the need for a sump pump, as we have special pumps designed specifically to be used in a crawl space encapsulation. Once everything is in place, your home is protected and your family’s health is no longer at risk. You can then consider your crawl space to be a clean place: Not only does it look much nicer, you can also store items there without worrying about damage. Our friendly, experienced professionals completely understand the value of your home, and how much it’s great condition means to you. That’s one of the reasons that they’re so dedicated to delivering the top-quality, long-lasting resolutions that you can really rely on.